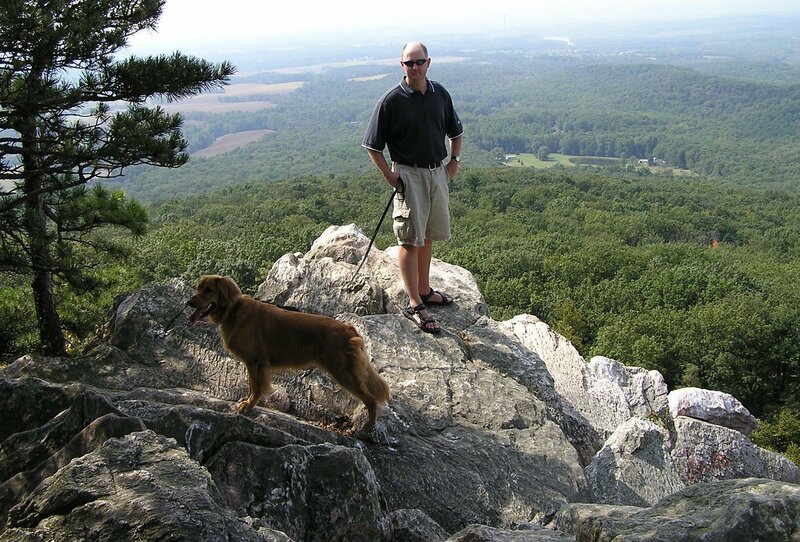 A fun place to explore in southern Frederick County is Sugarloaf Mountain. Not too far from Washington D.C., Sugarloaf is just north of Montgomery County, and close to the state of Virginia. From the base of the mountain, you can drive up to the Potomac Overlook. Park on the east or west side and hike up one of 2 trails to the Bill Lambert Overlook. Each trail is just 1/4 mile long, but they are very steep in places, and can be strenuous. We had fun climbing all over the rocks at the top. If it is crowded at the overlooks, try the more remote 5 mile Northern Peaks Trail and stop at the White Rocks viewpoint. If you want a longer hike, you can extend it with the 2 1/2 mile Mountain Loop Trail. Another option is the 7 mile Saddleback Horse Trail that circles the entire mountain.